Our buildings are a great solution to help keep your company up and running. We offer space solutions to help your employees get their work done efficiently and properly. 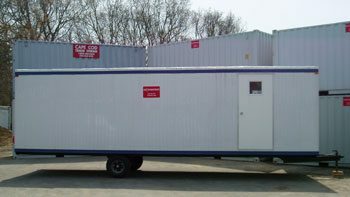 We will deliver directly to your site and help set up your office trailer. 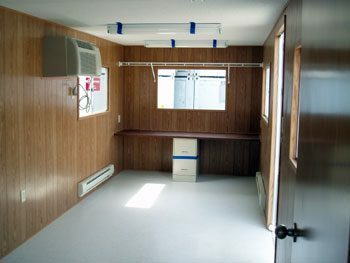 Compact 8′ x 16′ design features built-in desk with file cabinets, heat, and air conditioning. Efficient design includes two entry doors and six double windows. 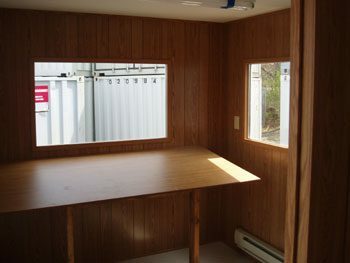 Office space with a storage unit combo. 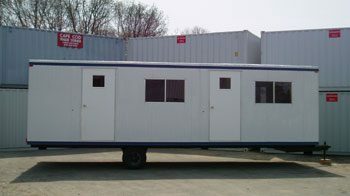 Office trailers at ground level.